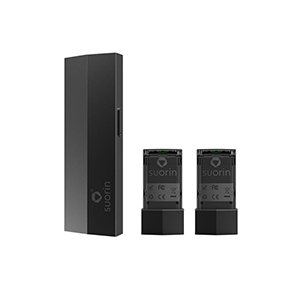 The Suorin Edge is unlike any pod system that has come before it. Sleek, stylish and simplistic barely begins to cover this miniature marvel in the ultraportable Vaping Pod category. If you are looking for a little bit of information about the device, its predecessor or the company behind it, you’ve come to the right place. If you’re just looking for some advice on filling your Pod or switching out your battery, we have that covered too. Our goal is to provide you with all the information about the Sourin Edge that exists in one tiny little package. Kick back, relax and get ready for some learning. The only reward at the end will be knowing how to use your Suorin Edge correctly and having a little bit of back story about your tiny, stealthy mod. When it comes to Vape Companies, you can normally open five hundred pages and get twenty different origin stories. Much like the products they create, however, Suorin likes to fly underneath the radar. Established in 2013, Suorin could be classed as a latecomer to the vaping party, but 6 years in the industry has given them the ability to laser focus on the kind of products that the other companies left by the wayside. While other companies were chasing the hobbyists and creating bigger box mods, Suorin chose to focus on simple designs to help smokers make the transition. There was a joke a while back that Apple made a vaping device. While that may not be necessarily true, back in the day, Suorin partnered with Foxconn, the world’s largest contract manufacturer of electronics, to bring us the Suorin Air. If you do not know, Foxconn is the company responsible for producing almost every Apple device on the market, so in a way, the joke wasn’t too far from the truth. As a company, Suorin saw that most vaporizers were too complicated for the average smoker just looking to put down the cigarettes, and the Suorin Air was the perfect little device at the time to change the market. 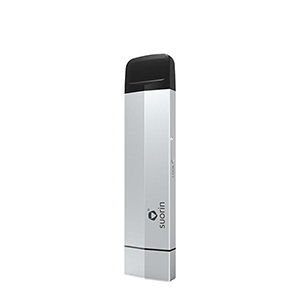 Not much bigger than a credit card, slender and sleek, the Suorin Air was designed to put the stealth back into vaping. While other companies were catching heat for making big clouds a mainstream problem, this tiny mouth-to-lung device was pretty much slipping by anonymously. While Suorin design their devices to work quite happily with higher nicotine traditional e-liquids, the advent of salt nic created a race amongst the competition to create the perfect pod system — an arena that Suorin never left and have continued to create groundbreaking devices. No frills and no fuss on the outside, Suorin has yet to create a device that isn’t loved by users around the world. Each one slightly different from the last in shape and size but one thing has remained constant, none of them require a handbook. The Suorin Edge is a sleek, stealthy mod, but this tiny addition to the vaping market is set to make serious noise. Measuring in as one of the smallest devices available today, the 1.5ML capacity pod system can be used with free base nicotine or nicotine salts up to a 70/30 (VG/PG) blend. When it comes to pod systems, the ability to turn such high VG juice into a flavorful vape is almost unheard of. As a draw-activated device, there are no complicated button combinations to learn to get the device working, but it does have a child safety switch built into the side. It’s as simple as making sure it’s unlocked and hitting the mod, life doesn’t get any simpler. The devices firing power is directly based on its voltage, the more charge that it has, the more vapor it will produce, up to a maximum firing wattage of around 10 watts. The 230mAh battery life on the device may not sound like a lot, but as we said earlier, the Suorin Edge is ground-breaking. This is the first pod system with a removable battery and a spare. USB-C charging makes filling it as easy as plugging in your phone and with 450mAh current, it will fast charge in 30 minutes or less. Charging your Suorin Edge: Before you can vape, you have to make sure it has power. Plug your USB-C cable either into a computer outlet or charging block, the other end into your battery and wait. The best thing is, you don’t even need to have the battery in the device while it’s getting power. This way you can have one on charge while one is working. Locking/unlocking the Suorin Edge: Just like many other mods, use the only button on the device to activate/ deactivate it. 5 clicks on and 5 clicks off. Changing the Battery: The Suorin Edge is designed to have the battery and pod multi-directional, meaning you can put them into their respective slots either way around and it will work. To change the battery, just grab the body and battery in your hands and gently pull them apart. It’s held in place by magnets so there may be a little bit of resistance to begin with, but it won’t hold for long. When you insert the new battery, as soon as it gets close enough the magnets will snug it into place. Filling the Pod System: There is a small rubber plug, on the side of the pod, that opens to allow you to fill the tank. Be very careful when opening as these have been known to break off on the wrong side if pulled too hard. The side that is closer to the top of the pod is the opening side, just slide it open with your fingernail before filling with your favorite e-liquid. Using the Suorin Edge: After you have hit the safety switch 5 times to ensure the device is operational, put the mouthpiece into your mouth and inhale. If you inhale for more than 10 seconds, the device will lock itself for protection.